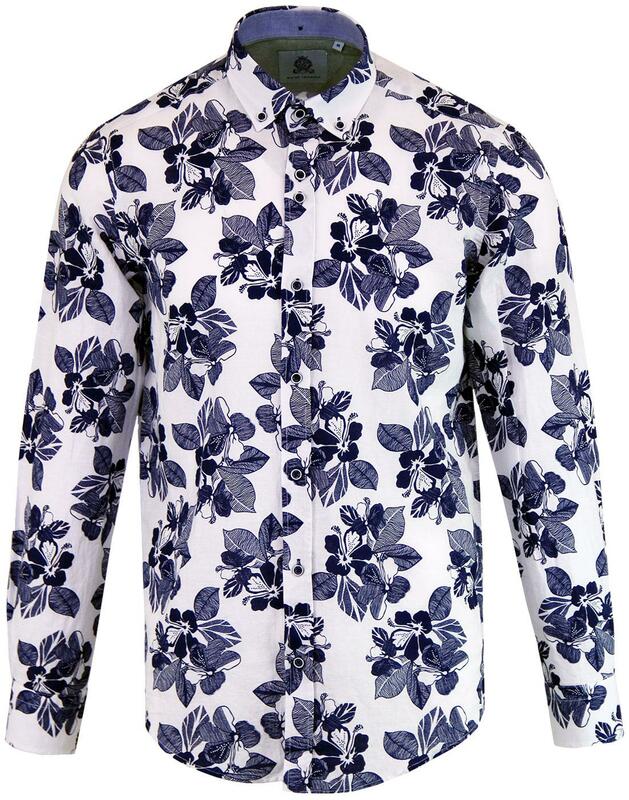 Guide London Men's sixties Linen Floral Shirt. Linen and cotton blend construction creates a cool lightweight feel and fab retro aesthetic. 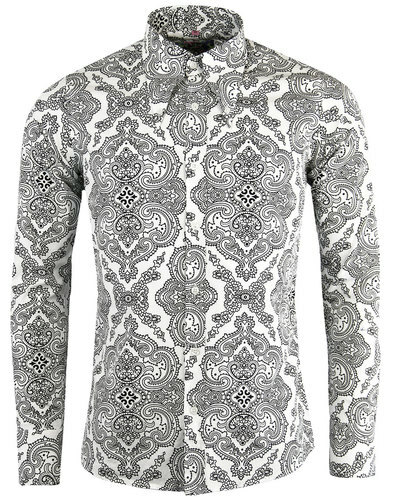 Button down collar adds an awesome mod look. 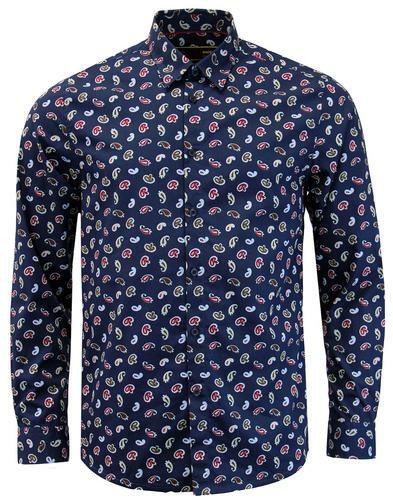 Intricate floral print throughout has a 60's psychedelic vibe. 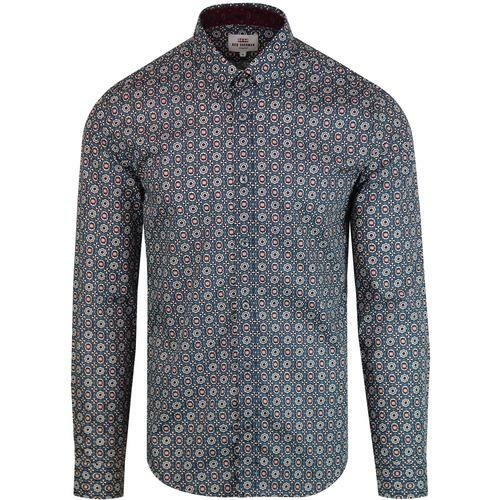 sequential button placket with self coloured buttons are typical of Guide London and create a formal premium feel. 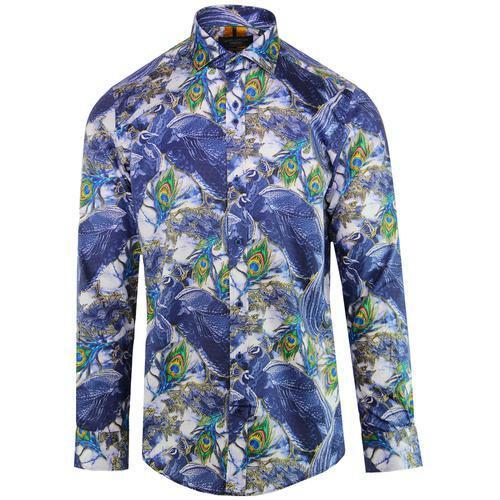 the perfect light summer shirt for any retro outfit.